Friday, February 17, 1865.Washington, DC. 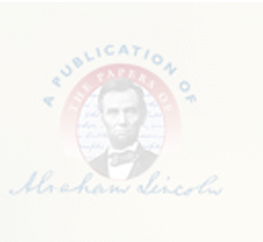 President issues proclamation convening Senate in extra session on March 4, 1865. Proclamation Convening the Senate in Extra Session, 17 February 1865, CW, 8:304. Receives Washington McLean, publisher of Cincinnati "Enquirer," and gives him card to Sec. Stanton asking for release of Gen. Roger A. Pryor (CSA), former U.S. congressman from Virginia and newspaper editor. Abraham Lincoln to Ulysses S. Grant, 24 February 1865, CW, 8:314-15; Forney to Lincoln, 18 February 1865, Abraham Lincoln Papers, Library of Congress, Washington, DC. Confers from 3 to 4 P.M. with O. H. Browning on case of John Y. Beall, charged with violating rules of war and sentenced to death as spy. Browning, Diary. Signs Army commission of Capt. Robert Lincoln. David C. Mearns, The Lincoln Papers: The Story of the Collection, with selections to July 4, 1861, 2 vols. (Garden City, NY: Doubleday, 1948), 1:12. Writes Judge Adv. Gen. Holt for concurrence in proposal to free group of Washington and Baltimore clothing merchants, convicted of illegal practices. Abraham Lincoln to Joseph Holt, 17 February 1865, CW, 8:303-4.